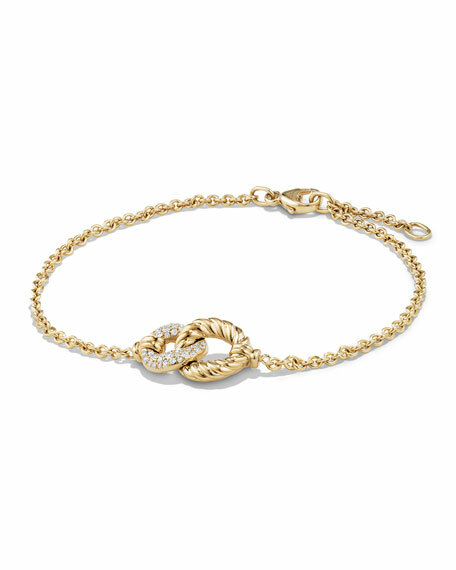 David Yurman bracelet from the Belmont Collection. 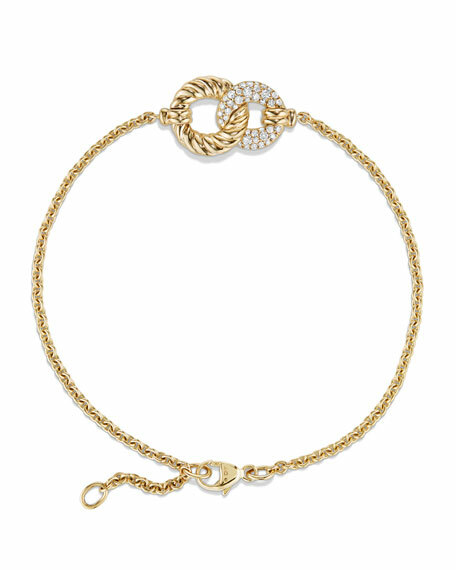 Interlocking center links with pavé diamonds. Center station, approx. 11 x 18mm. For in-store inquiries, use sku #2073660.